Now there's an image that instantly gets our attention. Devolver Digital has shared a teaser trailer for Gato Roboto, an upcoming game which has been described as a 'CatMechtroidvania'. The trailer arrives with absolutely no additional information, other than the fact that it will be releasing on Switch and PC in 2019 and has been made by developer Doinksoft. 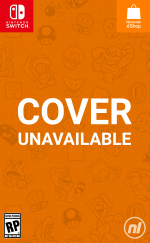 As you can see, however, the game adopts a black and white, retro aesthetic, with clear inspirations drawn from titles such as - you guessed it - Metroid. 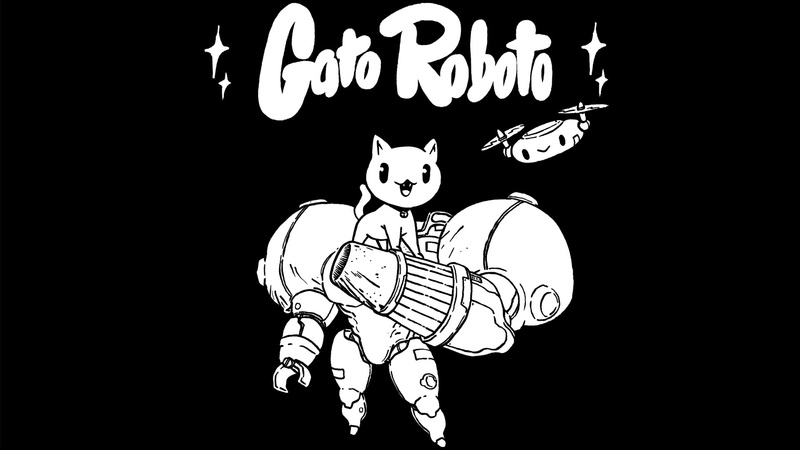 This early footage sure looks like Gato Roboto could be a lot of fun, with a nice dollop of cutesy humour combining with some very solid looking gameplay. If you're heading out to PAX West this weekend, you should be able to find the game tucked away in a booth on the show floor. What do you think? Does a cat-Samus fusion sell the game for you immediately? Do you like the look of the gameplay in the trailer? Let us know with a comment. I'll be mentally calling this one Super Mewtroid until further notice. This somehow looks really good. Will wait for reviews though. I need to get my claws on this. @Tyranexx Super Mewtroid it is!! This looks good...I've got my eye on it. I love cats and metroid. I'm getting this. Thank you everyone for the puns. @OfNullAndVoid: That depends on if there's ever a first-person view. But it's the logical next step! Mewtroid II: Return of Seafish? Is this from the team behind Minit? @HobbitGamer: Yes! And let's not forget Mewtroid Fursion! Purrfect concept, utterly pawful music. DAY 1 BUY YES GIVE! Just as long as they avoid Lords of Scradow and include Meowlucard. Looks interesting. I enjoy Metroidvanias, but have been hesitant to pick up some of the more celebrated releases on the system (Hollow Knight, Dead Cells, & Mummy Demastered) because I'm wary of the "hunt your former self down to regain upgrades" thing they've all been doing lately. Looks good (although I hate cats lol), but the music is simply terrible. I wish people still made physical games for the Gameboy but I guess it’s considered a dead system. It’s only about 30 years old, it’s still got a lot of life! I'm sure Mewtroid would like a word.. While I think metroidvanias are getting a bit purrvasive, I have to admit, cats will always make me give something a look. Emphasis on that first one ... that’s one of the reasons I love Blaster Master so much! I love being able to ride around in this object of total destruction and being able to get out alongside it and explore. Seriously I cannot wait until this comes out - this looks like something made specifically for me. This game is in dire need of some color. Otherwise, I’m on board. The black and white aesthetic bothers me. I read all the Mewtroid puns (good job btw guys), and now I really want an indie crossover game that’s based on WarioWare. Like Indie Pogo, but microgames instead of platform brawling. As saturated as the market is with Metroidvanias, this game still looks very good. Does it have anything to do with Minit? It's pretty much the exact same art direction! That said, it looks great. This lands so many punches on me! I'm a sucker for well executed retro aestetics, cute things, and exploration heavy games with classic action mechanics. I had to check up on this as well! Apparently there is no connection, other than both being published by Devolver. So this is one of the unannounced games they were teasing a few weeks ago. Such mindless violence against those frogs! @RR529 For what it's worth, you only lose money in Hollow Knight if you don't "hunt yourself down" successfully. And you can grind for that if you need to. I want to hear more about this one. If the price is right, I don't think I can resist. Loving the premise, and it took me until halfway through the trailer to really notice the limitations of the black and white graphics, so the charm was coming through just fine. Looks cool, but I'm getting sick of all these newer games having pixel graphics. I will play this. I do wish there was some color, but eh whaddya do? And they've just giving me a really cool idea for a neat gimmick in a game. . . .